Located on Clemson Rd between Hardscrabble Rd and Summit Pkwy, Extra Space Storage serves Columbia residents near Killian and Pontiac. 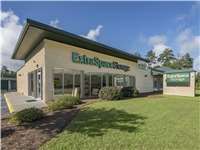 Locals will recognize our facility next to the United States Postal Service a few minutes west of North Springs Elementary School and a few minutes east of McDonald's. Extra Space Storage on Clemson Rd offers a wide selection of storage units, climate-controlled storage, drive-up access, and exceptional security, making us your go-to storage solution in Columbia! Our Clemson Rd storage facility has unit sizes from 5x5 to 12x50 with drive-up access, first-floor access, and elevator access. We can accommodate both residential and commercial storage needs! To ensure the safety of our customers and their belongings, our Columbia storage facility utilizes security features like 24-hour video surveillance, an on-site manager, and electronic gate access. Protect your temperature-sensitive items with climate control! This amenity keeps your unit comfortably between 55 and 80° at all times, preventing damage caused by Columbia's extreme heat and humidity. Climate-controlled units are available in sizes 5x5 to 10x30. For the ultimate convenience, we recommend a storage unit with drive-up access. This feature allows you to pull a vehicle up to your unit to unload and load items without hassle. Drive-up units are available in sizes 5x10 to 12x50. Not only does Extra Space Storage maintain a clean, secure facility at all times, but we also have a friendly, professional staff available to assist you if you need help. We care about providing high-quality storage with great service, and we want each and every customer to have an excellent experience. Contact us today to reserve a storage unit in Columbia! Excellent experience. Agents worked quickly to help us get a space! First time using a storage unit. Very easy and helpful. Made my situation a little more stress free and pleasant! I have only had my storage unit a short while however I am very pleased. The process was easy, the accessibility makes it easy to come and go as time allows. The property is clean, well maintained and secure. We were riding along and were planning to visit another location. Then all of a sudden we saw the colorful signage and immediately pulled into the parking lot. This was a smart decision because its near our new home and the staff did an incredible job. The weather was rainy and we dodged the rain drops and made it a poso day. Great location, pricing and staff! Helping my girlfriend move her stuff, I could not have asked for a better rep than Becky. She was awesome and helped us in every way. I was happy we were able to get the storage we were looking for. SUPERB customer service from Becky! She definitely made my first experience renting a storage unit the best. Thankful for her helpfulness and assistance. The facility itself is also very well maintained and cleaned. Thanks to everyone who left reviews which led me here! SUPERB customer service from Becky! She was absolutely amazing and made my first time renting a storage unit the best. The facility is very clean and well maintained. I would not have gone anywhere else, and I thank everyone else for their review which led me here! Moving from VA to SC wasn't an easy. However, Becky at Extra Space Storage made the experience worth while. She was informative, helpful and very responsive. The unit itself was very clean and was the right size we needed. Clean and neat facility with a friendly staff! They met all my need and held the unit I was interested in until i needed it! Thank you for your guidance in picking the right size unit and a ensuring I had a pleasant experience. Great & convenient location and the price was right for my needs. The units are very clean and easy to access. I think the customer service was outstanding and I had a very good experience overall. Very Clean storage facility, with easy access and Excellent value. The new manager at the Clemson Road location, Becky is super awesome. She was very helpful and extra patient with me. They will definitely keep my business as long as I have storage needs! I rented a storage unit this weekend at the Clemson road facility. The facility is kept extremely clean and units are in great condition. The staff was very friendly as well as professional. They have approx 4 measures of security. The main gate has operation hours. There are cameras by the units & in hallways of enclosed units. Plus, the people walk around checking locks for a sticker. If there is no sticker, you get a courtesy phone call about the lack of a sticker. All in all, this company seems to care of their customers. I was not shown the location of my storage. In the beginning, the process went well, but upon returning the truck,(which I was late) I got to see a very unprofessional side of Sara Weaver. Let me just say, I prefer to never have to deal with her again. I am very impressed with the professionalism, cleanliness, and convenience this facility provides. Definitely will Recommend!! Mr. Pence, the store manager, was very courteous, knowledgeable, and professional. He walked me through the process step by step. I am vey satisfied with the quality of service I have received. Take I-77 South to Exit 22, Killian Rd, Take a left off of exit ramp and continue about 4 miles on Killian/Clemson Rd. The property will be on the right immediately after the US Post Office. You will pass several fast food locations along the way including a Taco Bell & a Wendy’s. Take I-77 North to Exit 22, Killian Rd, Take a right off of exit ramp and continue about 4 miles on Killian/Clemson Rd. The property will be on the right immediately after the US Post Office. You will pass several fast food locations along the way including a Taco Bell & a Wendy’s. Take I-20 West to Exit 80 Clemson Rd. Take a right off of the exit ramp and continue about 5.5 miles. The property will be on the left immediately before the US Post Office. You will pass several landmarks along the way such as a CVS, Sandhills Mall, and The Summit subdivision. Take I-20 East. Merge onto SC-277 North exit 73B toward I-77 North/Charlotte. SC-277 merges into I-77 North. Take Exit 22, Killian Rd, Take a right off of exit ramp and continue about 4 miles on Killian/Clemson Rd. The property will be on the right immediately after the US Post Office. You will pass several fast food locations along the way including a Taco Bell & a Wendy’s.